Start your day with your favorite beverage and your favorite galactic icons! This Star Wars 40th Anniversary 20 oz. Heat Reactive Ceramic Mug can help with that. 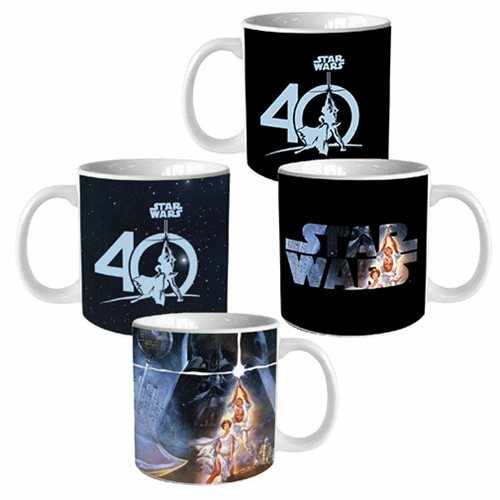 The awesome design changes reveals Star Wars imagery when the 4-inch tall mug is filled with hot liquid! Hand wash only. Not dishwasher safe. Do not microwave.